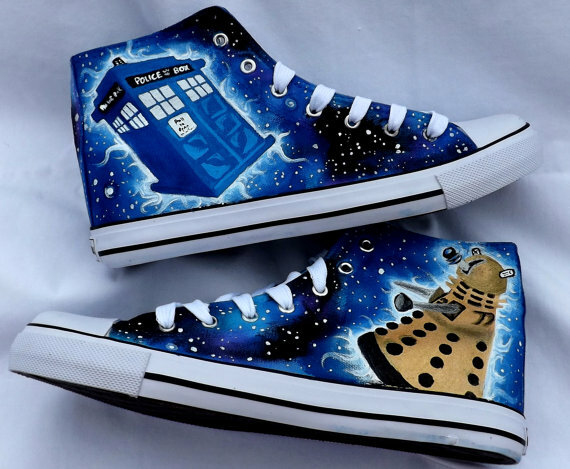 If you are the kind of person that loves to show off their passions and one of those passions happens to be Doctor Who, then I have the shoes for you! 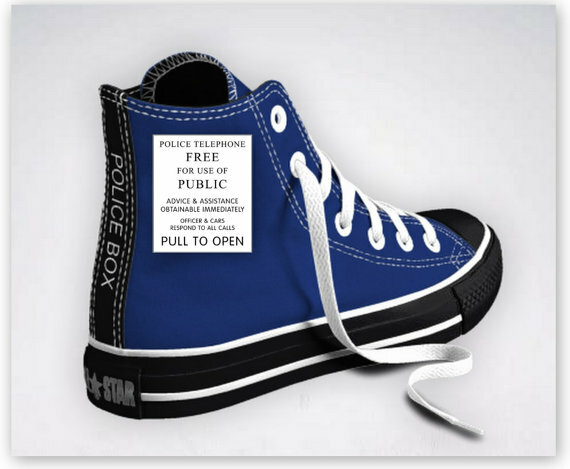 Check out these amazing Doctor Who TARDIS Converse All Star shoes! 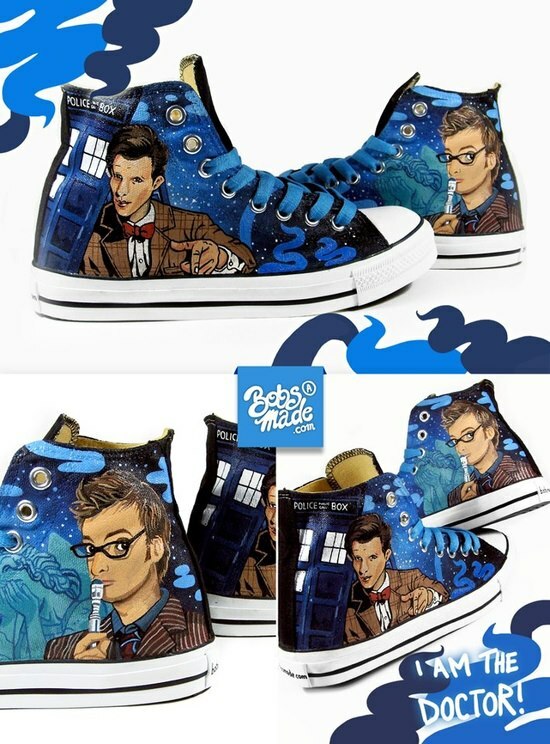 Etsy seller WibblyWobblyShoes (definitely an appropriate name for somebody that sells TARDIS shoes) is selling these custom Doctor Who TARDIS Converse shoes for $115. The best part is that you can specify the size you need and have these shoes made just for you! However, since these TARDIS shoes are custom made, apparently they can take up to 6 weeks to ship although if you order now, you should still have them in time for the Doctor Who Christmas Special! I’m very tempted to order a pair for myself as it is about time for me to get some new shoes, although I have always been a New Balance guy and I don’t know if I would like Converse All Star sneakers or not. I’ve long wanted something cooler to wear than just what tennis shoe manufactures have to offer, but I know having something really cool like these amazing Yoda shoes wouldn’t be a good idea because they wouldn’t stay nice for very long considering I work in a very dirty environment. 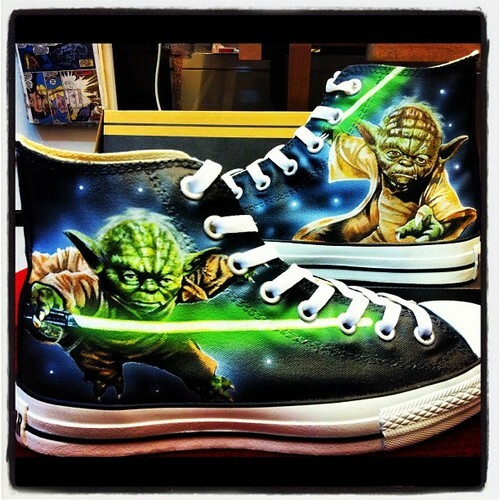 Well, regardless of whether or not I will be the owner, these Yoda Converse All Star shoes are amazing! The amazing custom shoe people at What’s Shop in Thailand are the ones that painted this amazing pair of Yoda Chucks. 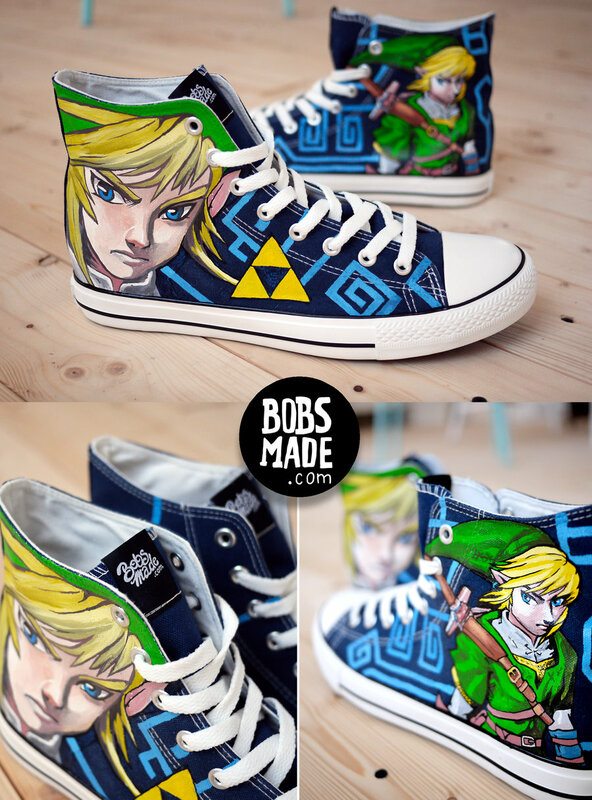 If you would like a pair of your own, they do take custom orders and it is quite obvious that they do amazing work! I’ve seen a bunch of other shoes that they have made and every pair has blown me away!